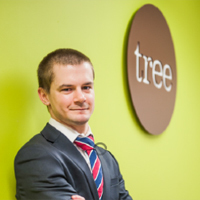 Tree Accountancy in Manchester champion the virtues of forward planning, as they believe their input should be more than just providing figures. They aim to be their client’s financial officer – providing guidance on specialist areas such as tax and auditing. If you’re a small business owner looking to manage your cash flow better, we have a range of online accounting solutions for different types and sizes of business starting from just £5 + VAT per month. If you’re an accountant or bookkeeper interested in using Sage One with your clients, call our Accountant’s Division on 0845 111 11 11 to get your copy of the Sage One Accountant Edition version.